In the early 1900s, William Randolf Hearst was on top of the world. While ruling over a massive newspaper empire and making movies in Hollywood, he wanted to build a palatial home on land his family had owned since he was a child. 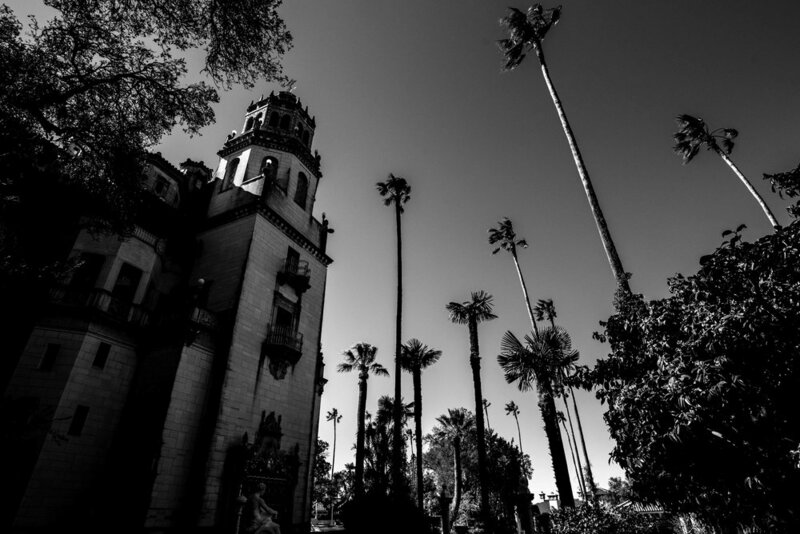 Along with architect Julia Morgan, he built what would come to be known as Hearst Castle. Now a California Historical Landmark, keep reading to see what it was like to tour this gorgeous property. The morning started at the visitor center. There you can puruse the shops and get a snack. We got some coffee before the bus ride up the hill but had to finish it quickly because you can only bring bottled water with you on the bus. The trip takes about 15 minutes and is narrated to teach you about the history of the family and construction. The bus ride is your first clue of just how massive the property is. Before the roads were paved, it would have taken visitors 3 hrs to get from the train station, down HWY 1 and finally all the way up the drive. William Randolf Hearst owned a tremendous amount of land. It takes a little while to wrap your head around how vast the area is. The bus ride begins at the visitor center. The house was always filled with guests back in the silent movie era. Actors like Chalie Chaplin and Cary Grant were regulars as well as politicians, scientists or anyone else who Hearst felt was interesting. Guests were left on their own during the day to enjoy the grounds. At nighttime, however, everyone would gather in the dining room for a formal dinner. 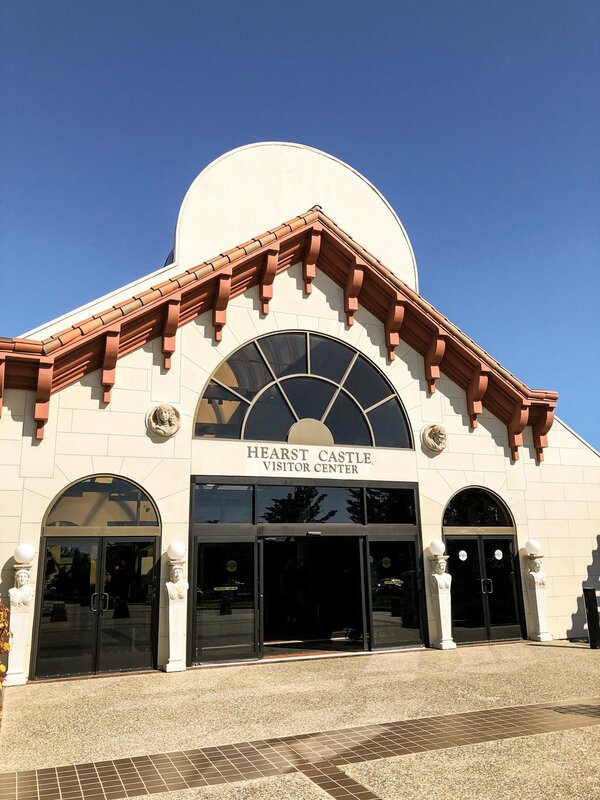 Our guide said there were two types of people in Hollywood at that time, those who had visited Hearst Castle and those who just told everyone they had. They all wanted to be invited for the weekend as it had enormous implications for their careers. The bus stops in front, and our guide walked us around the outside of the home. Positioned on a hill, the panoramic views in all directions are stunning. We walked through gardens, guest villas, and the newly restored Neptune pool before heading inside. There are several tours you can sign up for. We were on the "Grand Rooms Tour" which tours the main living room, dining, billiards, and movie rooms. We would have loved to have seen more. If you have the time, we recommend spending the whole day and doing as many tours as your budget allows. 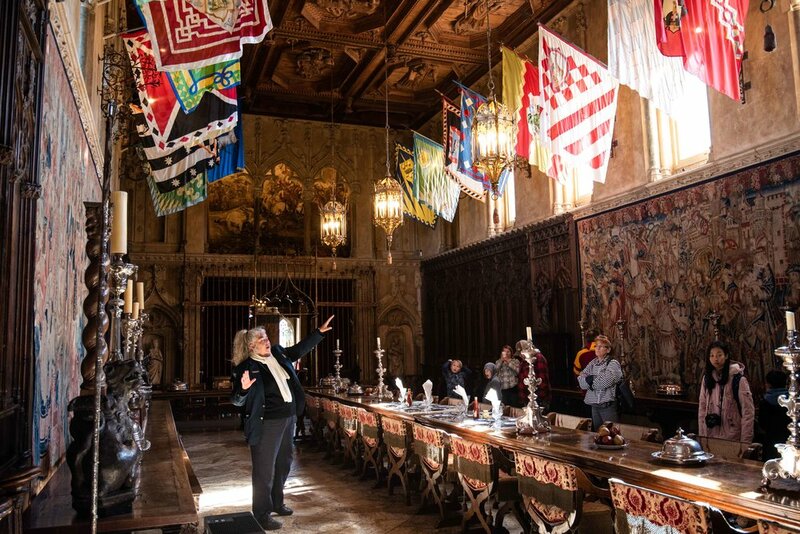 Our guide pointing our details in the dinning room. After the official tour, you're allowed to walk back through the grounds and eventually make your way to the indoor pool that's under the tennis courts. On the bus ride back, you drive by what's left of the zoo that Mr. Hearst had on the property. He loved animals, and many of them were allowed to roam the property freely. Back at the visitors center, you can pick up some souvenirs and catch a 45-minute film included with your ticket. We needed some food at this point and decided to get some lunch. 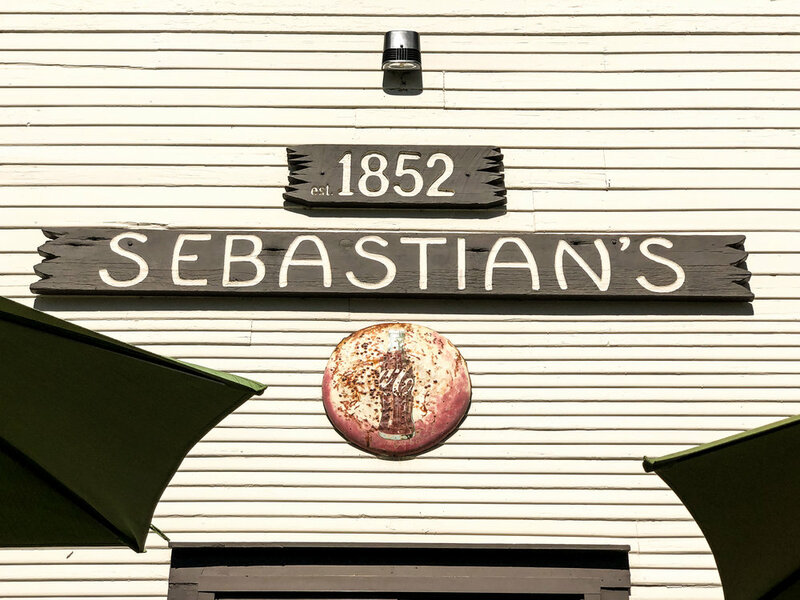 Sebastian's is a buger place right across the street from the property. 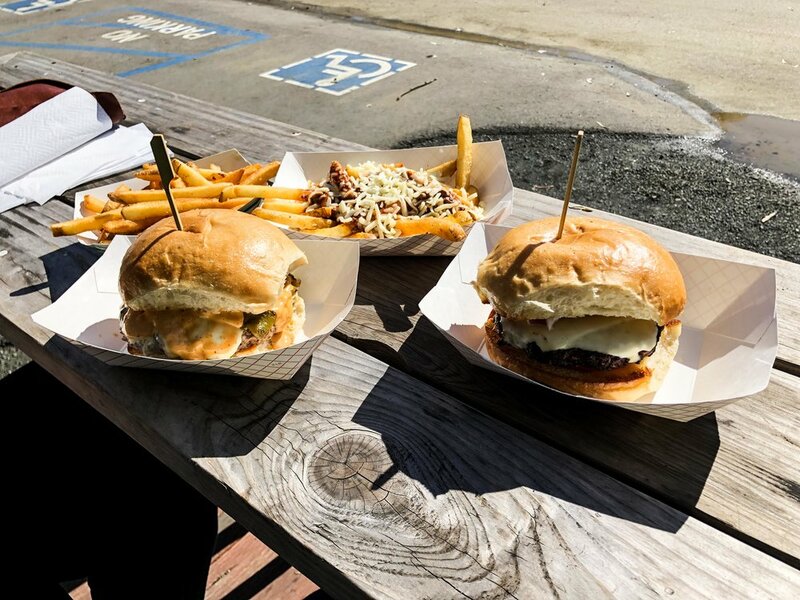 They serve burgers from the Hearst family cattle. We weren't expecting much because it's one of the only options for food, but it was perfect. It was way better than it needed to be, considering its location. The face you make when the battery in your camera dies and the spare is in the car. We had lunch at Sebastian’s. They serve Hearst beef in their burgers. Charise had the black bean burger. 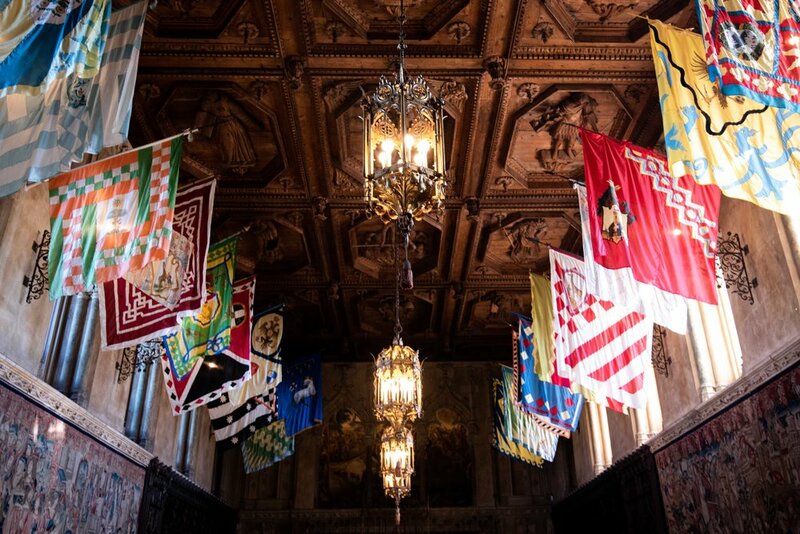 The Hearst Castle is impressive. It's a beautiful house situated on a fantastic piece of land. If you like movie history, you'll love the tour. It transports you back to the golden age of Hollywood and allows you to walk in the shoes of some of its famous guests. What do you think? 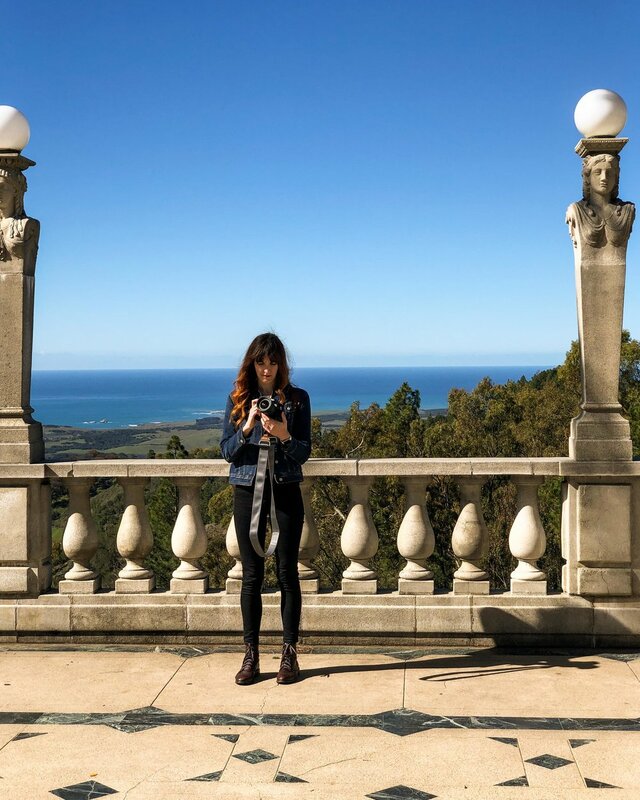 Have you ever been to Hearst Castle? Answer below in the comments. 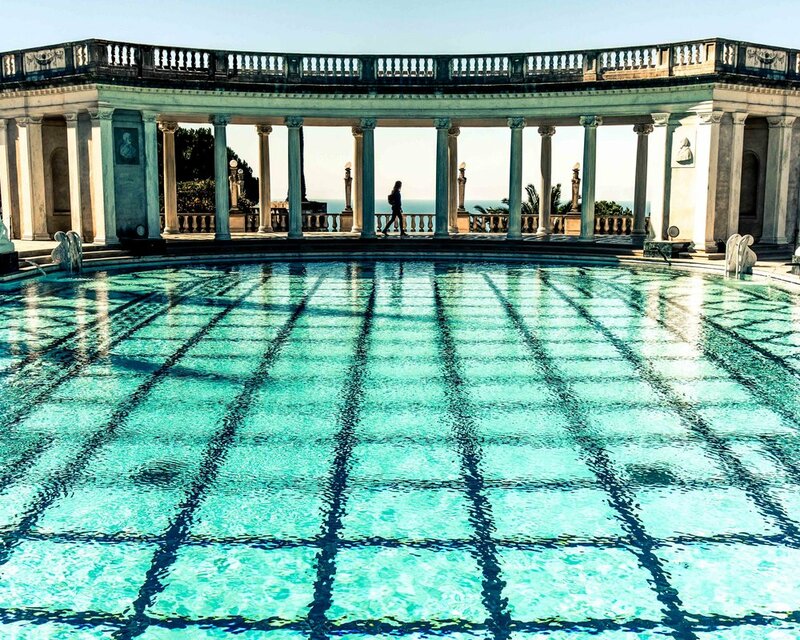 Disclosure - California State Parks provided us with complimentary tickets to tour Hearst Castle.